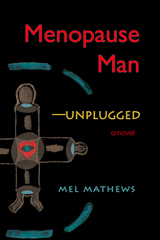 "Mel Mathews is a sensitive observer of the human condition, with an emphasis on the Male Human Condition of our time. He has created a character in Malcolm Clay that is a baby boomer Holden Caulfield, a variation on John Updike's Rabbit Angstrom, and he manages to take us by the hand and lead us through the bumpy terrain of current interpersonal relationships as well as anyone writing today. 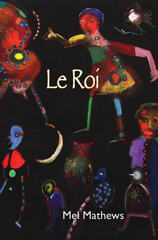 "We first met Malcolm Clay in Mathew's first novel 'LeRoi' as a middle aged man trapped in a successful but boring occupation who becomes stranded in a dusty little truck stop where he is forced to slow his pace to adjust to the fertile characters he created there. Well, now Malcolm is living in Carmel, California, having been divorced, forgoing his childhood entrapping religious heritage, traipsing through many brief and physically oriented affairs while deciding to change his life as an alcoholic tractor salesman to that of a reformed AA writer ('..he didn't think anyone should be called an addict, alcoholic, codependent, or any other of the pathologized clinical diagnosis that propelled a person into another lie'). His existence is populated in this gorgeous coastline area of California by all manner of women and men whose connection to life is through tenuous strings tied to fairly shallow buoys. 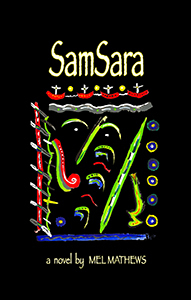 Most of the novel is conversational, with Malcolm discovering the intrinsic personality defects of characters ranging from his landlady Mrs. Shams to men on the make to physical therapist Jenny who manages to keep a physical distance between the lusty but controlled Malcolm and her fragile, purging diet, Zen-like self. In addition to the USA Today and bloggingauthors.com, Grady Harp's reviews appear on Barnes & Noble, Soapadoo, Powells Books, and he is an Amazon.com Top Ten reviewer! !